Need information about taxes in the state you live/work in. We have compiled all the links you need to complete your state taxes. 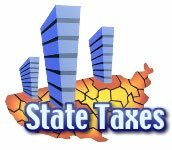 Click on a state below for tax forms, state associations and key government links.